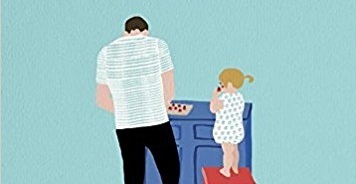 Sometimes you just want to sit back and relax and read a sweet little book about fatherhood. 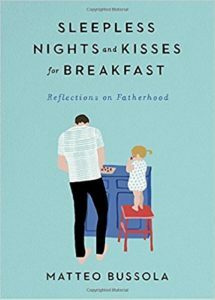 Sleepless Nights and Kisses for Breakfast: Reflections on Fatherhood is the book for this! Mr. Bussola’s lyrical prose is equal parts shiny and sad. “Being a father is brutal. Ahhhh, it’s so true how they transform right before your eyes. He goes on to talk about how his mother is coming to visit and further cements the sandwich metaphor—now a parent, but still also someone’s child. Ah, the dual reality of this. Each short chapter is like a Polaroid of familiar family life—a snapshot into the daily sights, smells, and sounds of five people who love each other well, circling their home, neighborhood, and world—together.